Happy Monday! It’s a little chilly here in Des Moines today, but it’s sunny outside, and I’m convinced that Spring will get here this week. I’ve been hard at work on my thesis for the past week, and the end is definitely in sight. I did take some time out with Keegan over the weekend to introduce our dogs to his dad’s new labrador puppies and go for a short hike with them. Playing with rolly polly pups is way more exciting than statistics, as you can imagine. In between writing and data analyzing, I’ve been sneaking over to Pinterest for some creative relief and visual inspiration. 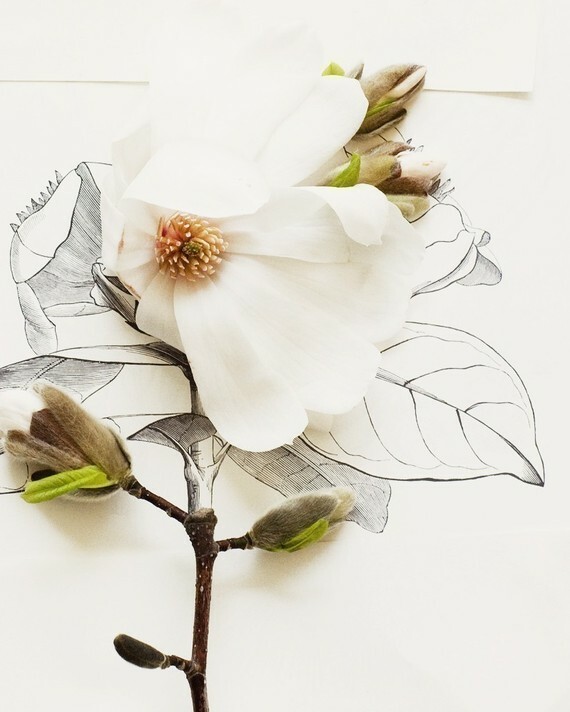 Today I spotted these floral illustrations by photographer Kari Herer that are so feminine and ethereal. 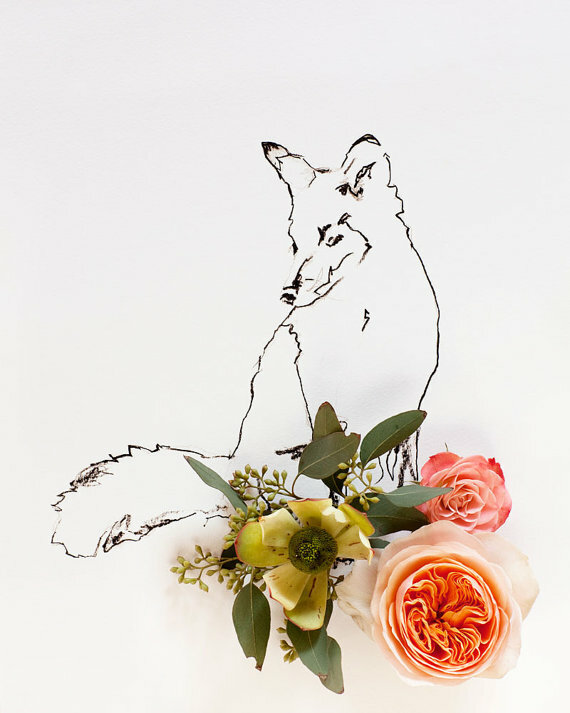 I just love the combination of the delicate pen and ink line work with the colorful, three-dimensional flowers. They would be beautiful mounted in delicate gold frames for a bedroom or dressing room. You can see the rest of Kari’s work in her Etsy shop and on her website. I am so ready for the warm weather to just get here already!